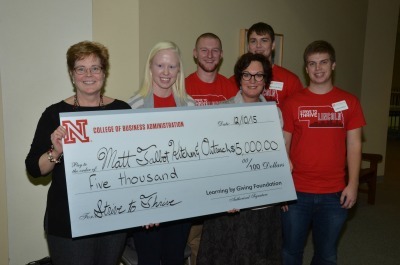 Dr. Amber Messersmith and the students in her Management 411 course at UNL learned about philanthropy by distributing grants from Doris Buffett's Learning by Giving Foundation. The students named their project Strive to Thrive Lincoln, and they received proposals from 32 Lincoln nonprofits and did site visits at 10 of those. 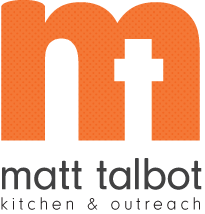 Matt Talbot was honored to receive a $5,000 grant from the class. At the award reception, Susanne and Sally received a big check, but we also got a big dose of inspiration from these hard-working students and future philanthropists.